The 2018 Swivel Digital + Creative Conference — is our 11th Annual Digital Marketing Conference being held on October 8-9 in Bend, Oregon. This event attracts some of the most dynamic speakers and innovative thinkers across the country and one of few conferences where you can actually hob nob with the speakers directly! 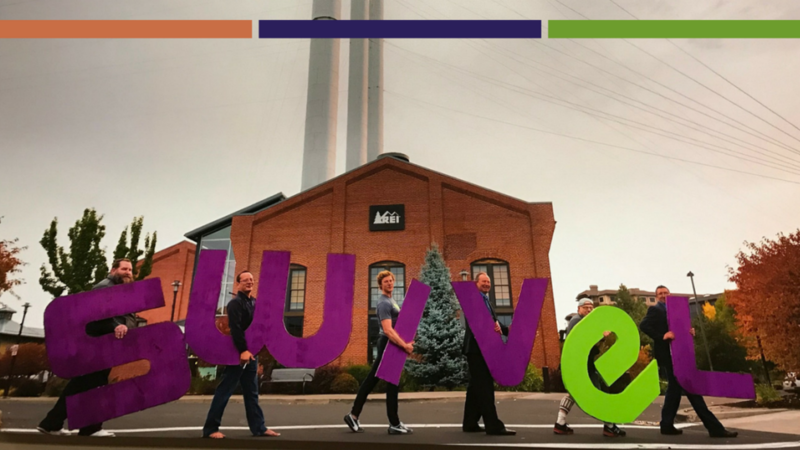 Swivel is a boutique conference experience offering cutting-edge digital marketing trends and tactics along with plenty of creative inspiration each October in Bend, Oregon. Swivel invites anyone whose livelihood involves the web, creative or marketing to explore mind-blowing topics. We have a Digital track dives into the technical and logical side of communication, including SEO, social media, mobile marketing, etc. The Right Brain (aka “Chic”) track focuses on the creative, emotional and imaginative methods of communication, including advertising, design, copywriting, brand development, etc. Swivel is an amazing opportunity for anyone wishing to blend technology and creativity into a successful 21st Century business plan. Bend, Oregon is the best place on earth for a conference like this, with jaw-dropping natural beauty, unlimited outdoor recreation, and plenty of craft beer to really get your creative juices flowing.